My cold may not have quite shifted (yes, the sniffles are lingering more than a week and a half after they first set in! ), but I still managed to get some decent- and varied- workouts in this past week. After giving myself Monday off (in the misguided hope that 'just one more day' would get rid of the man flu), I kept my exercise indoors on Tuesday and got a few steady miles in on the treadmill. I know lots of people hate the 'dreadmill', but I don't mind using one every now and then because it can be a good way of hitting and staying at a particular pace. 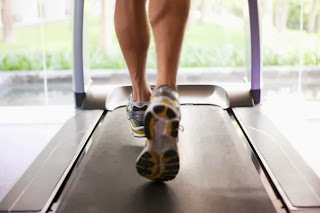 If it's good enough for Iron Man champs Chris McCormack and Chrissie Wellington, not to mention Haile Gebrselassie, then treadmill running is good enough for me... Not that I was running with any great speed- I just wanted to turn my legs over for the first time in a few days. 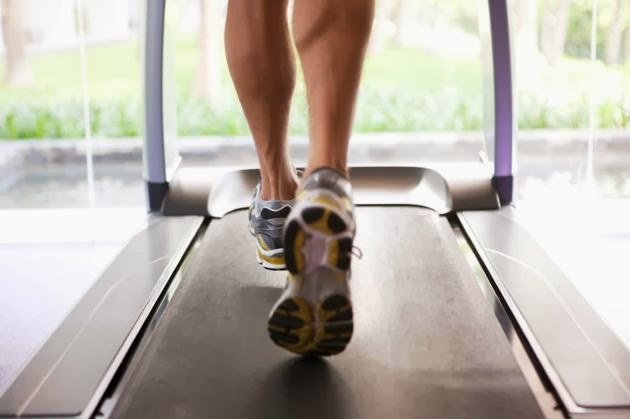 After using a treadmill for the first time in months on Tuesday, I did something completely new on Wednesday and tried a 'brick' session for the first time, simulating coming off the bike and running straightaway by completing a spin class and immediately jumping onto a treadmill. It was only a small brick, admittedly, but I was pleasantly surprised to find that the experience wasn't as awful as I'd expected. The spin class had been reasonably tough, with plenty of climbing, but my legs felt good as I began the run. I was perhaps being overly cautious by running the first 2.5k at 12kph pace, so I upped the speed to 14kph for the second half of the run and felt that I could have continued for quite a bit longer. However, given that my focus won't be shifting to triathlon until at least mid-April, I thought it best to quit whilst I was ahead. By Saturday, having logged a few nice and easy miles commuting into work on Thursday and Friday, I wasn't sure whether to head out for a steady 12 miler or whether to push myself a little harder over a shorter distance. The weather, however, made the decision for me; it was wet, dark and dingy and there was no way that I was going to be outside for any longer than I had to be. I may even have subconsciously told myself this because, despite setting off with the aim of running at 6:52 minute mile (i.e. sub-3) pace, my Garmin soon told me that I was running approximately 6:30 minute miles. Fortunately, I felt strong enough to maintain this speed (give or take ten seconds) for the entire duration of the run and, though that's not to say that I wasn't glad to reach my front door 6.5 miles later, the pace had felt merely 'comfortably hard' throughout as opposed to lung-bustingly horrendous.